At the age of 16 I began to have interest in the Hmong musical instrument Qeej. After two years of learning Qeej, I completed all the songs. 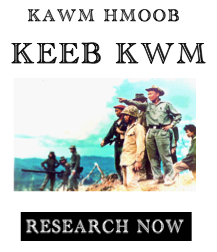 I played and performed Qeej on numerous Hmong funeral, Tso Plig, and Nyuj Dlaab during my two years of studies. As I was studying Qeej, I also became interested in many other Hmong traditional songs such as Hmong Folk Songs (Lug Txaj/Kwv Txhiaj), Wedding Songs (Zaaj Tshoob), and Traditional Funeral Songs (Paaj Qeej, Nkauj, Txiv Xaiv). I then began to learn a few songs of each and start performing them at Weddings and Funerals. In 2008 at the age of 22, I was able to complete my learning of Hmong traditional funeral songs of Txiv Xaiv, Paaj Qeeg, and Nkauj. Now days I continue to practice and perform these songs at Hmong funerals. Even though I did not master the Hmong Traditional Songs lug txaj/kwv txhiaj and zaaj tshoob, I do have great knowledge of it. I began my teaching experience in 2003 at the age of 17. During that time, I taught the Hmong Writing System Romanized Popular Alphabets to a group of over 40 students. Majority of the students were my brothers, sisters, and cousins who’s age range from 8 to 18. After one year of teaching, over half of the learners were able to read and write in Hmong. My second experience of teaching Hmong was during my two years of college at UC Davis. 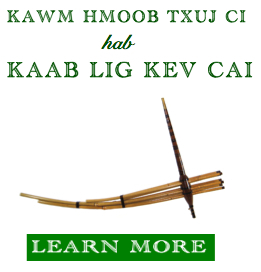 I taught not only the Hmong RPA reading writing system, but also Hmong culture and traditions. This was a voluntary class for the Hmong Student Union organization at UC Davis. Even though students attending the class did not received any credits from the university, they continued to attend for two straight years because of their interests in learning to read and write Hmong as well as the culture and traditions. I would like to express my thanks to everyone who has visited this website and registered in the courses that are currently being offered. If you should have any question or comment about the courses or this website, you may reach me through the contact page. Lastly, I want to remind everyone that this website is still in the development phase. If you have any ideas or information you would like to contribute to the site, please do not hesitate to contact me. Thank you for visiting the site and have a nice day.